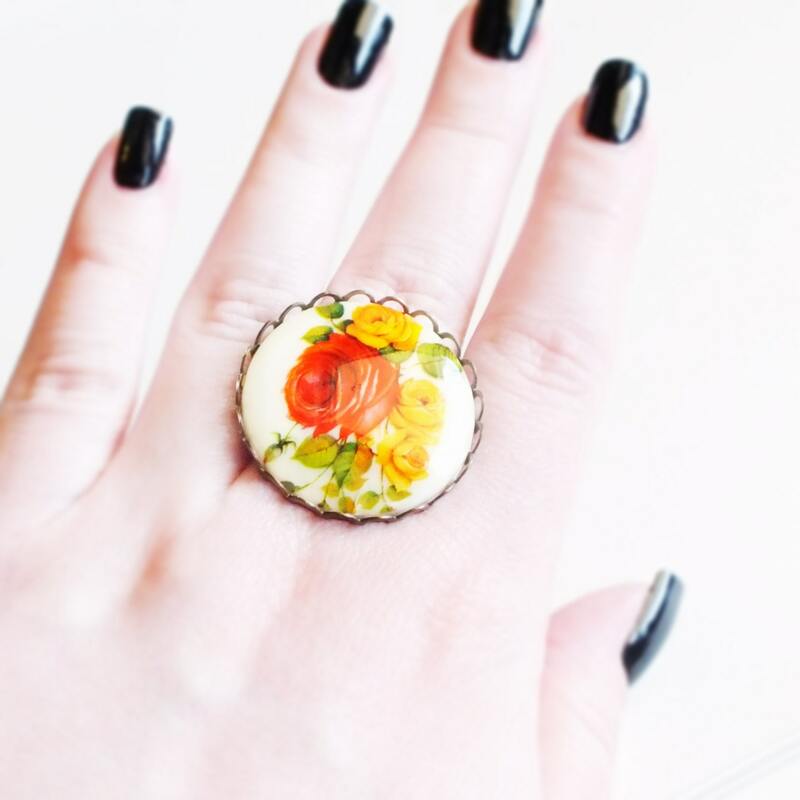 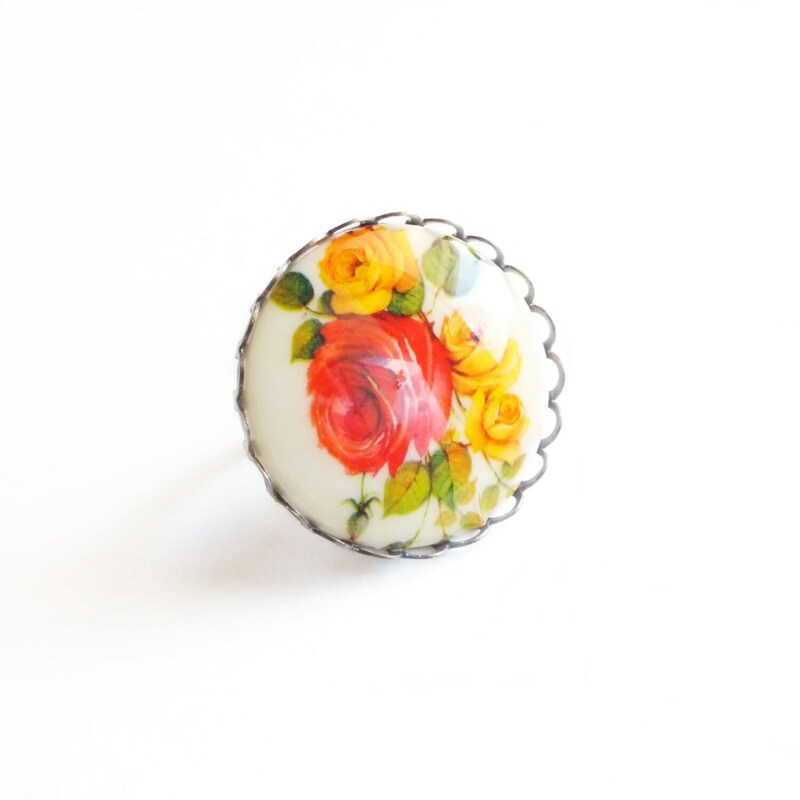 Large handmade floral ring with chunky vintage orange rose cameo and adjustable band. 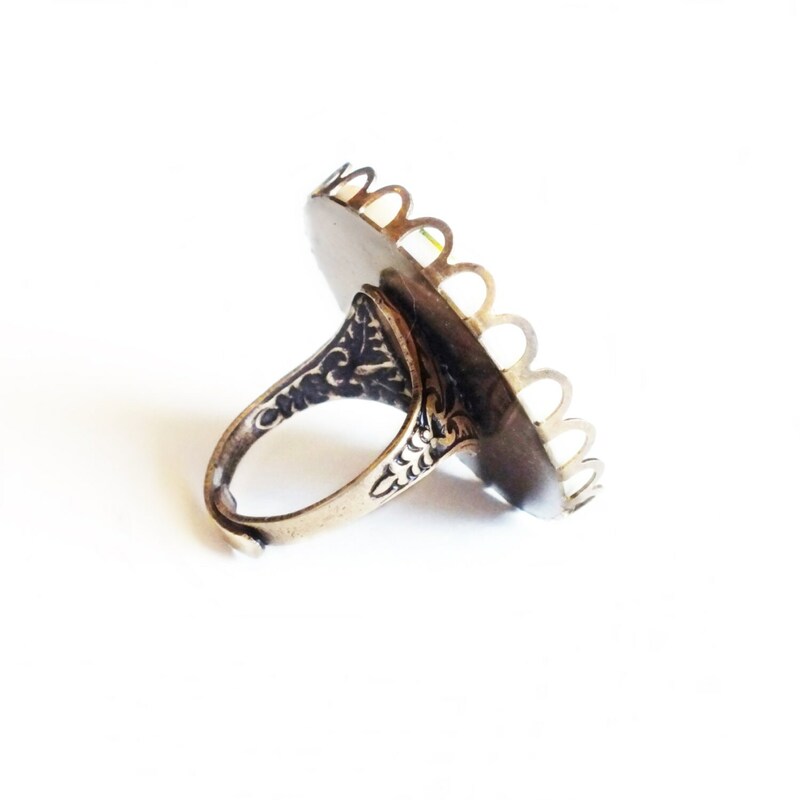 US made brass setting and adjustable ring. 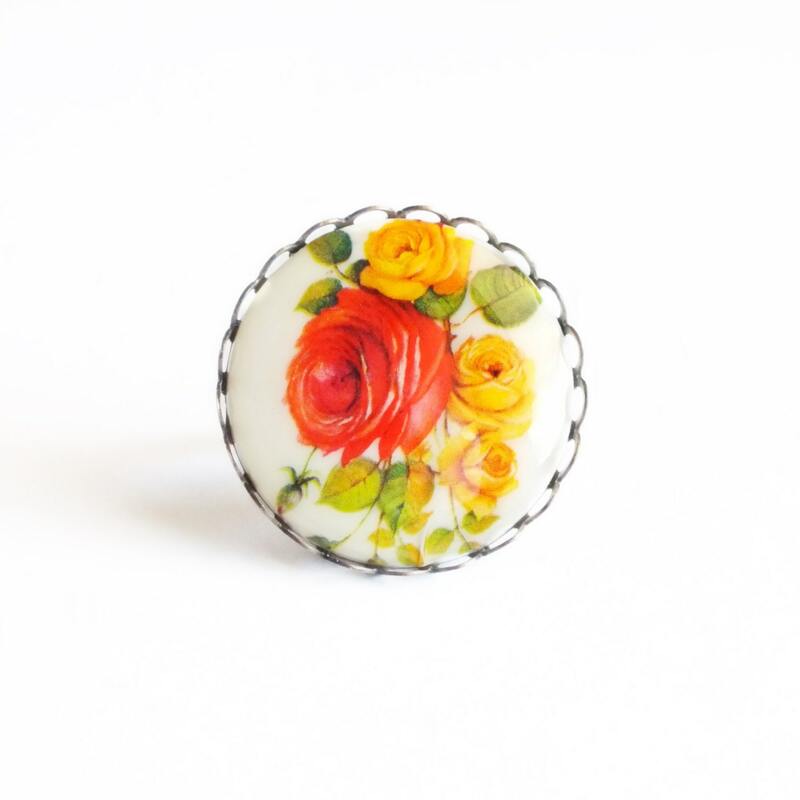 Large Victorian statement ring with a large stunning genuine vintage cameo of large orange and yellow old fashioned cabbage roses with green foliage. 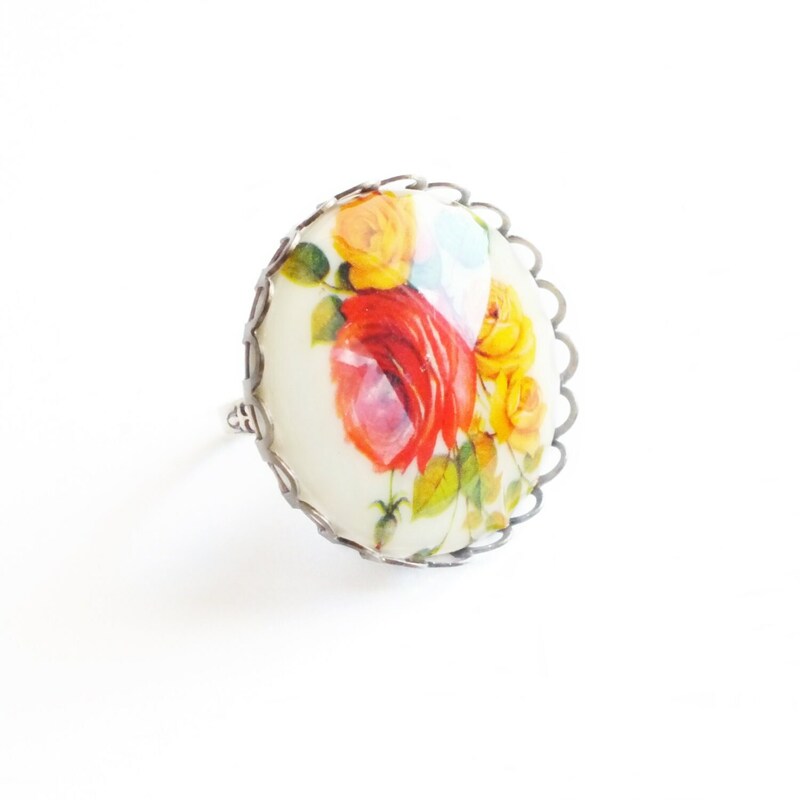 I set it in an antiqued brass lace-edged frame secured to a Victorian style adjustable antiqued brass ring.